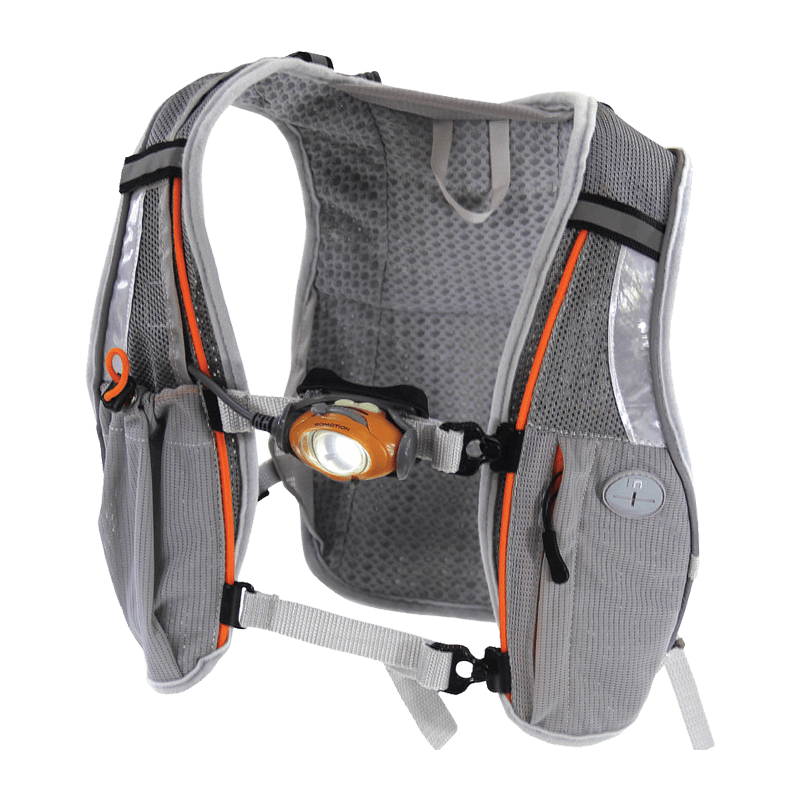 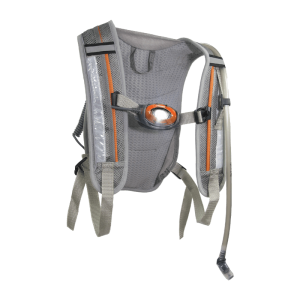 Super-lightweight hex-mesh vest with 150 lumen CREE LED mounted at sternum height and featuring maximum 9″ strap adjustability. 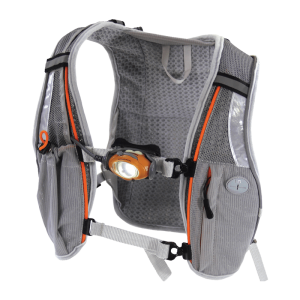 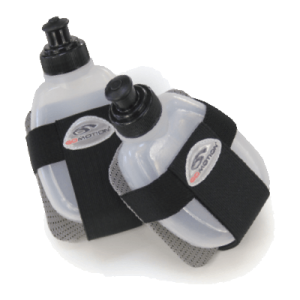 Additional features include bright reflective strips – front and back – and reflective trim, chafe guard adjustable shoulder straps, integrated front cell phone and storage pockets, ample rear back storage and sternum strap slider with comfort pad. 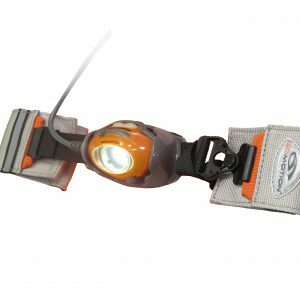 Light can be worn on either sternum strap as desired. 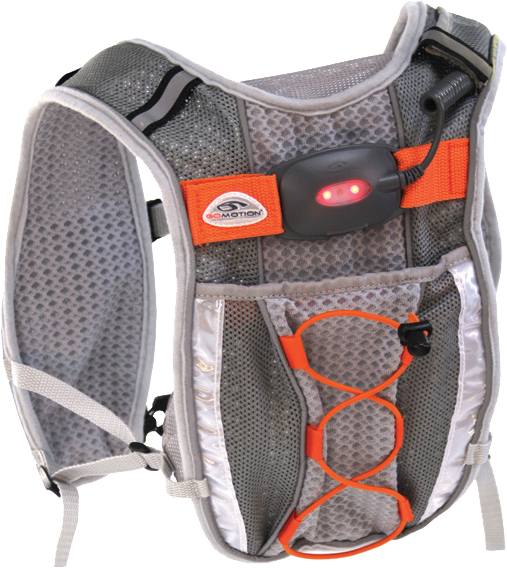 Powered by rechargeable Lithium-Ion battery pack and supplied with mini-USB charging cord.